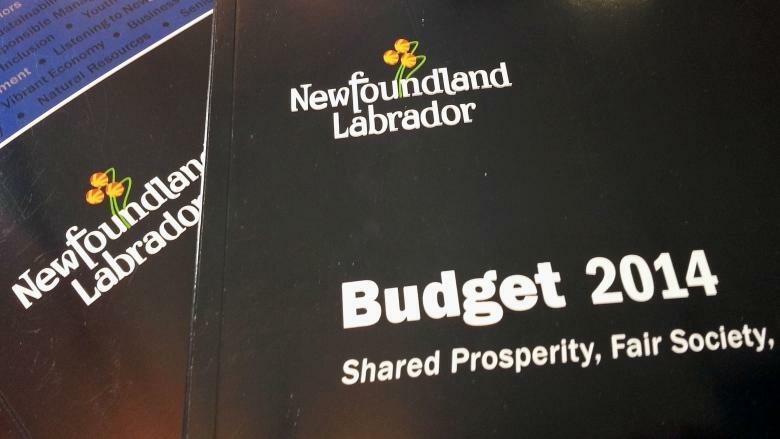 The Newfoundland and Labrador government is offering up new and enhanced benefits for families, seniors and students in this year's budget, while adding more than a half-billion dollars’ worth of red ink to the province's tab. The big ticket items include full-day Kindergarten in 2016, the replacement of student loans with grants, an enhanced low-income seniors’ benefit, increased tax exemptions for low-income residents and families, and a five-per-cent jump in income support rates. Finance Minister Charlene Johnson said the budget reflects what the government has heard from people. "It's a budget that shares the wealth we are currently seeing in the economy," Johnson told reporters. It’s a sharp contrast from the apocalyptic tone of 2013, when the Tory government cut 1,200 positions amidst dire warnings of a looming fiscal armageddon. Pre-2013 budget forecasts floated the idea of a deficit in the range of $1.6 billion. By budget day, that dropped to $563.8 million. The final number for 2013-14 is now expected to come in at $348.7 million. In 2014-15, the province is forecasting a $537.9-million deficit . And there is projected to be a razor-thin surplus in 2015-16, a likely election year. Next year’s surplus will be lower than initially thought, largely due to pay increases for public-sector employees. In the budget speech — her first as finance minister — Johnson stressed the theme of “ensuring that residents share fully and equally” in the province’s wealth. “Our commitment to a fair society is a commitment to social justice – to care for those who are vulnerable and to support those who face obstacles to growth,” Johnson said. A large part of charting that course involves oil revenues, which account for a third of provincial revenues. The province has had a poor track record of predicting royalties in the past, but hit their projection of just over $2 billion nearly bang on in the just-ending year. In each of the next two years, government officials expect that number to grow by another $400 million or so. The boost in 2015 will come largely as a result of the Hibernia extension coming on stream. This year, the government is budgeting based on an oil price of US$105 a barrel, an exchange rate of 91 cents and production of 86.2 million barrels. The budget also puts out a series of political brush fires that have flared up periodically in question period. There is cash to expand newborn screening to include cystic fibrosis, money to speed up autism assessments and reduce wait times, planned expansions for overcrowded schools in Mount Pearl and Paradise, and restoration of an energy efficiency program that was cut in half last year. Budgeted program expenses for 2014-15 are 2.1 per cent higher than what was budgeted last year. The province expects to pour more than $850 million into infrastructure. But the most pressing fiscal challenge facing the government for the future will likely be unfunded pension and other post-retirement liabilities. Last year, they accounted for 67 per cent of the net debt. By 2016, they are expected to gobble up an 85-per-cent share. Johnson told reporters that addressing the pension situation is a priority for her, but declined to put any deadlines on doing so. Meanwhile, after years of decline, net debt is back on the rise — up to $9.8 billion at the end of this coming fiscal year, a jump of roughly $2 billion from the low of a few years back. And for the first time since 2005, the Newfoundland and Labrador government will borrow money to fund operations and spending. Liberal Opposition Leader Dwight Ball called Thursday's fiscal blueprint “an election budget,” and said there is a lack of planning by the Tory government. “You cannot take your kids’ credit card out of your pocket and borrow $1 billion,” he said. Ball charged that the government has done little to diversify the economy, but has instead relied on oil, which is a non-renewable resource. Meanwhile, NDP Leader Lorraine Michael took credit for positive news in the budget, saying “three major pieces” were planks in her party's platform. “One is the all-day Kindergarten, the second one is the 'grants not loans’ for the post-secondary students, and the third thing is the reduction in the small business tax,” Michael said.